The Graupner Viper Jet is an ideal 90mm EDF jet trainer model for the ambitious jet pilot. This ARF model is pre-covered and the composite and ABS plastic parts are pre-painted. The model can be equipped with optional electric retracts. The air intake and thrust tube are constructed of high-quality fiberglass composition. All small parts, including fiberglass control horns, control linkages, fasteners, fixed undercarriage, and wheels are included in the kit. 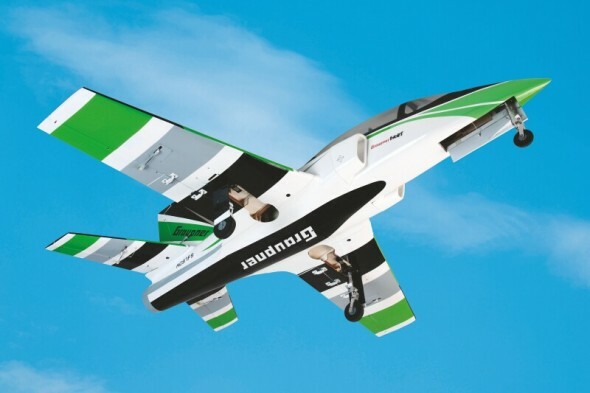 Requires a 6S lipoly battery for flight and can reach speeds of 80 MPH (130 km/h).